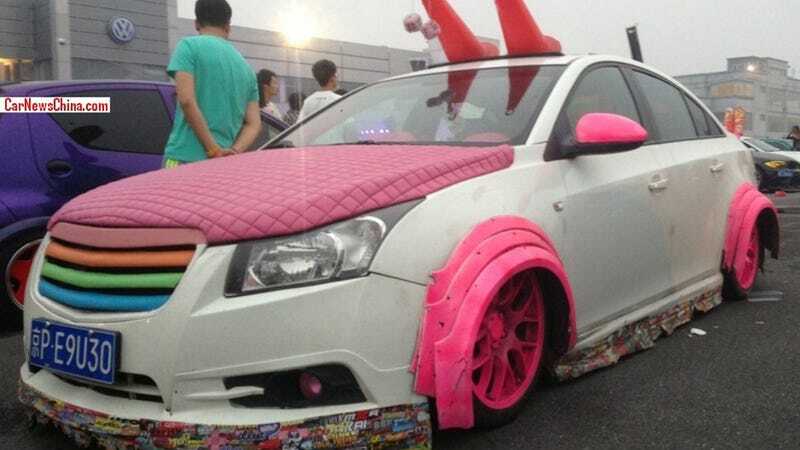 The excellent Car News China found this, the world's ugliest Chevy Cruze. At least I hope it's the world's ugliest Chevy Cruze. I mean, if this thing isn't the ugliest, that means that there's an even more heinous Cruze out there, somewhere, attacking innocent bystanders with its intense ugliness. You can see more pictures of this traffic-cone-horned masterpiece at Car News China.